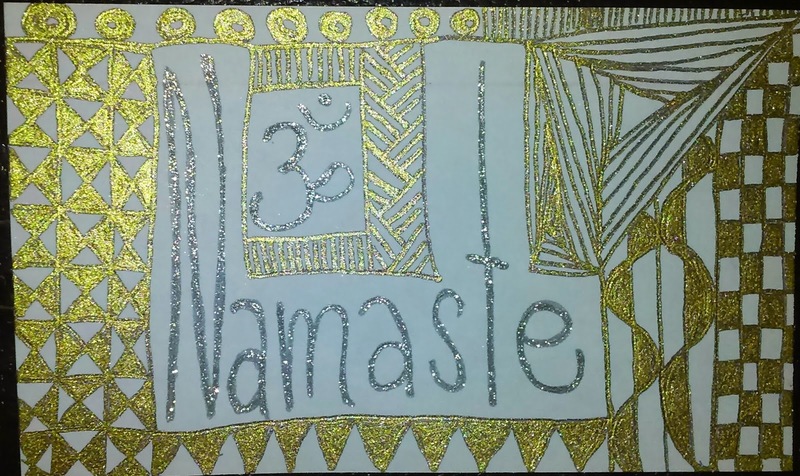 BREATH FLOW THRIVE : I Joined ICAD with Daisy Yellow! I Joined ICAD with Daisy Yellow! 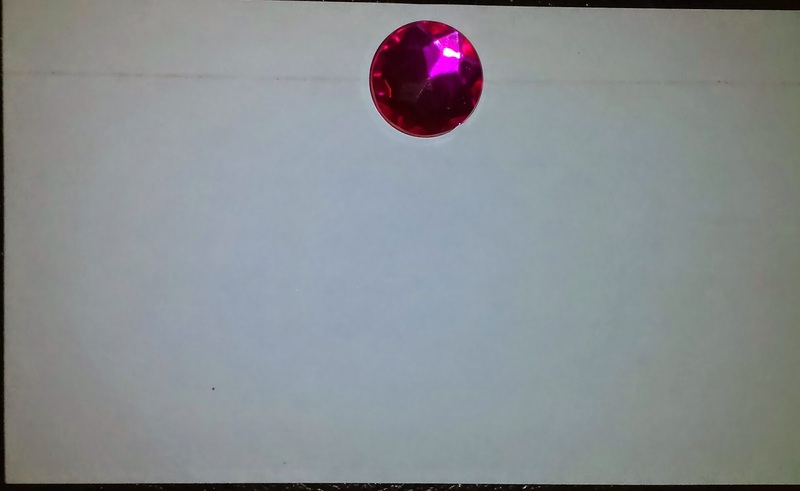 Tammy, over at Daisy Yellow, hosts a yearly event in which we create one index card a day. 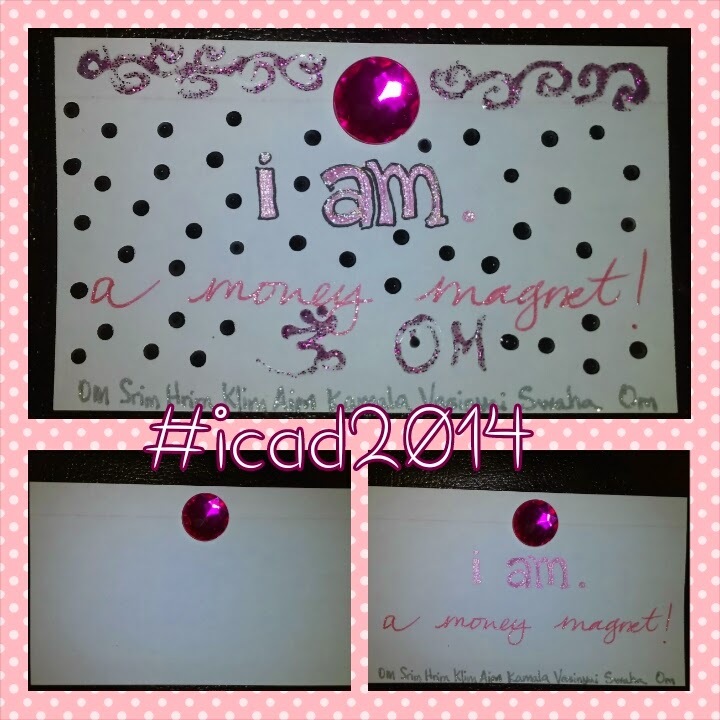 #ICAD has resonated with me this year. 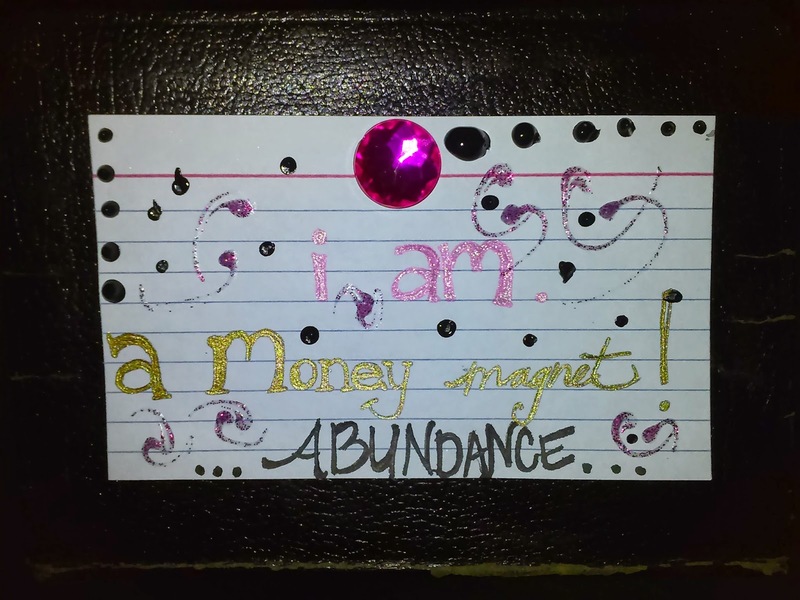 I was inspired to create a positivity deck with this project. It runs for 2 months and at the end you have 61 official cards. More if you create extras, such as I've done here. I began with the brad. The topical prompt offered was Prism, and my mind went to sparkle, and then to glitter. This brad had a nice shine to it, and flashed it's brilliance at me, as it to say, use me, please! This weeks theme is text. 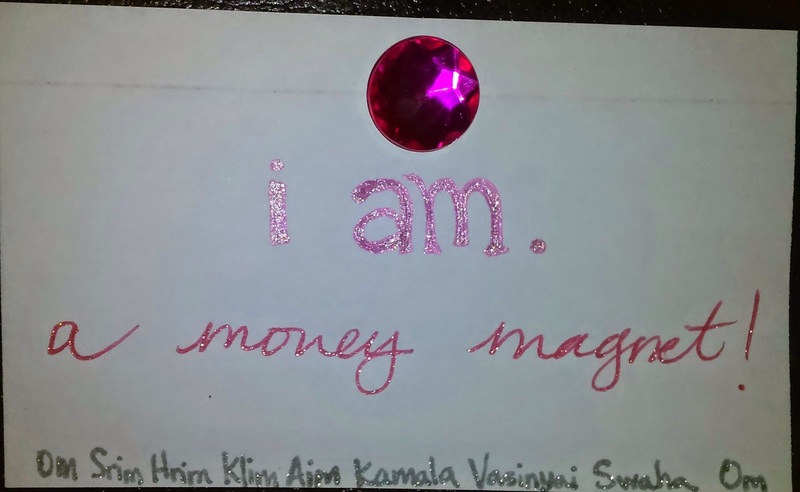 I added the affirmation that I am currently manifesting in my life. 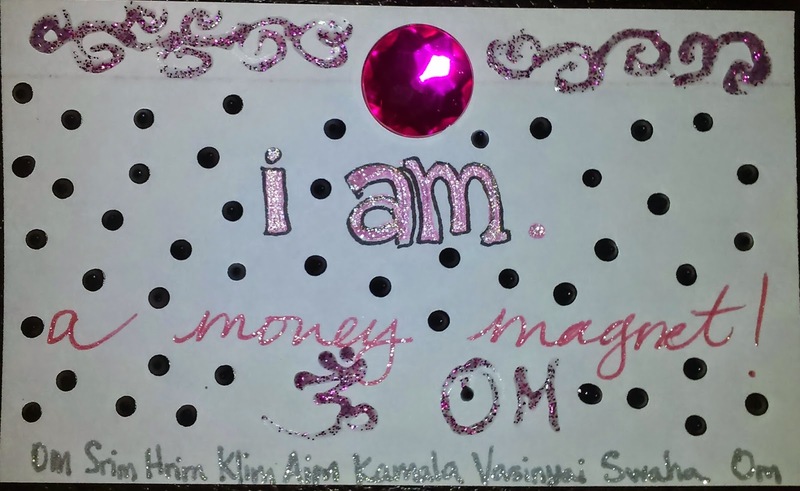 I used two different gel pink pens and a silver at the bottom for the mantra to the Goddess of prosperity, Laxmi. I then pulled out my puffy paints to add another layer to the card. I really like how it turned out. None of it was planned, which is why I'm loving this project. Teaching me to simplify my art, and fly by the seat of my pants. The card below was the first one I made. I wanted to try and use the lines, but was not happy about how it distracted from the message. Adding to the extra pile. Then I created this one. I started out making the triangle doodle and went from there. I really like how it turned out. I'm adding it to the extra pile.